The desander cone and desilter cones all are also referred as hydrocyclone cones, cones are basically separate the solids from drilling fluids. 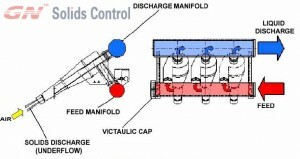 The separation process is carried out by employing centrifugal forces. The Cones are made of high durameter polyurethane with optional steel inserts, which ensure consistent productivity. Desander Cones remove abrasive, coarse solid particles upto 60 microns. Desander Cones are available in 10″ attachments with a 4″ inlet and 6″ outlet. Desilter Cones remove fine sand and silt down to 20 microns. 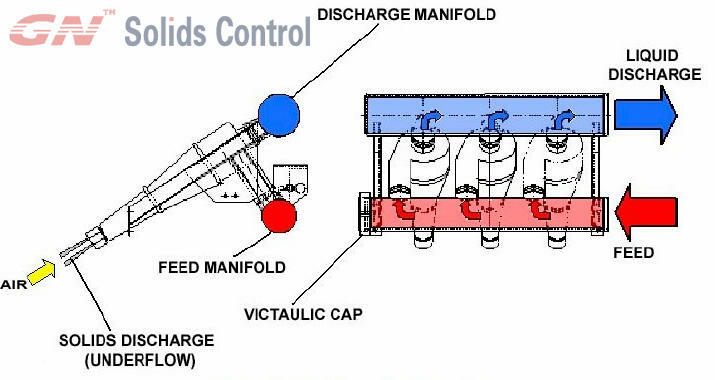 GN Solids Control is a professional manufacturer of solids control equipment, GN supply all the parts of solids control system, including cones of desander and desilter. We just finish production of 16 desilter cones,and the desilter cones are ready for delivery to Indonesia. 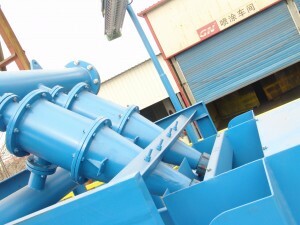 The desilter of mud cleaner,and desilter usually uses 4″ hydrocyclone cones. As a manufacturer of mud cleaner,and desilter,GN provide fast and reliable spare parts for our equipments.